I can’t believe I get to be a part of Fair Trade Friday. (What? 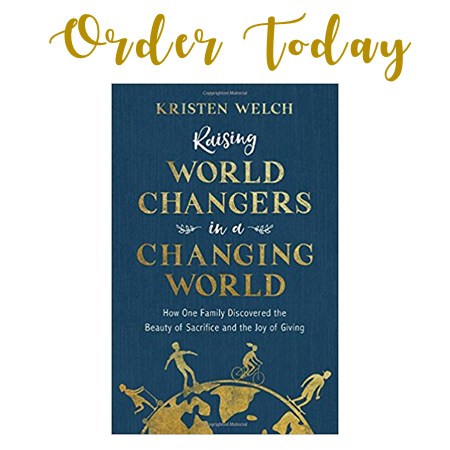 You haven’t heard about this monthly subscription club, a ministry of Mercy House, that is changing the world for oppressed and impoverished women in 20 countries?) Click here to join the club. 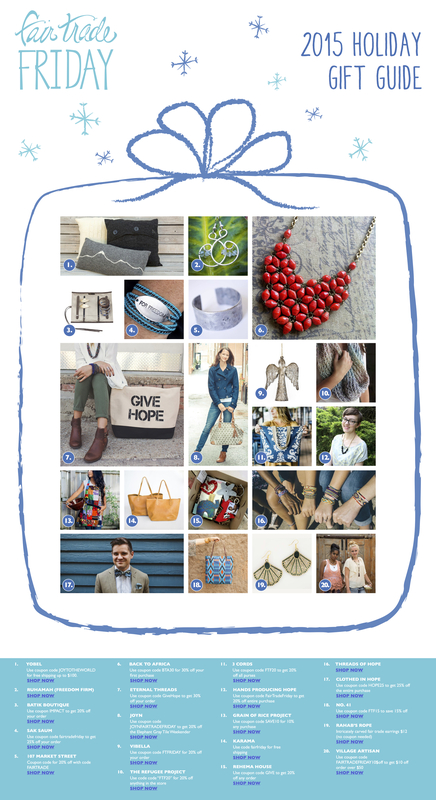 I’m really excited about the first ever Fair Trade Holiday Gift Guide. I get a lot of emails from conscientious shoppers asking for fair trade recommendations. We asked some of our Fair Trade Friday partners to share their favorite gifts this season. These are ministries, non profits and stores that are making an impact in our world. Many also provided unique coupon codes (where applicable) just for you. So not only can you find unique and cute items, you also get a deal! Every item featured is made by women who are being empowered in Jesus’ name. Your purchase is life-changing. Plus, it’s a great way to get items checked off your shopping list and feel great about your purchases. Thank you SO much for putting this together! Last year I searched and searched for fair trade shopping sites, and found a few, but this makes it so much more accessible! You did the work for us…now, to decide between all the amazing products!!!! When I click “Shop Now” links, it just takes me to a smaller version of the list?? Got it now…sorry and thanks! !